Last week, and just the day before T-Mobile's announcement that included its new frequent upgrade plan called JUMP, AT&T teased that it would be announcing something on July 16th. It just became July 16th just over half an hour ago on the east coast of the US, and AT&T has already released the announcement that it is starting its own frequent upgrade plan called AT&T Next. The plan is slightly different from T-Mobile's offering. The two main differences are that AT&T Next will only allow you to upgrade once a year, not twice like T-Mobile's JUMP; but, AT&T isn't charging anything up-front when you buy a device. AT&T Next can be used with either a smartphone or tablet, and when you purchase, you won't pay anything up front, and there will be no activation fee, upgrade fee, or financing fee. The per month cost ranges from $15 to $50, and is set up so you would finish paying off the device after 20 months, if you choose to keep it. The example that AT&T gives is that if you purchase a Samsung Galaxy S4, there would be no up-front cost, but you would pay $32 per month. If you ran the whole length of the deal ($32*20) the device would end up costing you $640. But, after you've made 12 payments, you could simply trade-in the device for something new, at which point you would start a new payment plan. When you trade-in, anything you owe is waived, but of course you don't get to keep the device after paying $384 to use the S4 for a year. The old options for upgrading with AT&T remain. So, you can still get discounts on new devices after 6 months, if you can't wait for the free upgrade at 12 months. Also, you can share an upgrade with someone else on your account, as long as its for the same device category (so you can't share a smartphone upgrade and get an iPad). And, you can always buy a device outright, or bring your own unlocked device to the network. There was a leak earlier today saying that Verizon is aiming to also jump into the frequent upgrade space, so we may see these plans get more competitive as we go. According to the leak, Verizon would let you upgrade as long as you've paid half the cost of the device. Although, Verizon's plan isn't expected until late August. AT&T Next, on the other hand, will be launching for customers on July 26th. AT&T Customers Can Get a New Smartphone or Tablet Every Year With No Down Payment With "AT&T Next"
With AT&T Next, customers purchase a smartphone or tablet with no down payment and agree to pay monthly installments for the device. After 12 payments, they can trade it in and upgrade to a brand new device — again with no down payment — or they can keep using their device and have no more payments after 20 months. AT&T Next is available for new AT&T customers or existing customers who are upgrade eligible. “With AT&T Next, customers can get the newest smartphone or tablet every year with no down payment. That’s hard to beat, and it’s an incredible value for customers who want the latest and greatest every year,” said Ralph de la Vega, president and chief executive officer of AT&T Mobility. AT&T’s 4G LTE network now covers more than 225 million people nationwide and 328 markets. AT&T’s 4G LTE deployment is expected to cover 300 million people by year-end 2014, with nearly 90 percent of the build completed by the end of this year. AT&T Next is available for any current smartphone or tablet in AT&T’s industry-leading selection of devices. The interest-free monthly device installments range from $15 to $50, depending on the device selected. For example, a customer purchasing a Samsung Galaxy® S 4 would have no down payment and pay $32 per month, in addition to the monthly wireless service plan they choose, with the option to trade in their device and upgrade after 12 payments or to keep using the device and pay off the installment plan in full after 20 months. There’s no penalty for paying off the installment plan early. AT&T offers a broad choice of device purchasing options. In addition to AT&T Next, customers continue to have their choice of all current options, including getting a discounted device with a two-year service commitment; paying full retail price for a device with no-commitment; getting a partial discount for an early upgrade after six months with a two-year service commitment; or bringing their own compatible device. 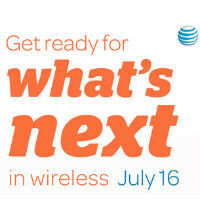 More information is available at www.att.com/next or at any AT&T retail store. ** Requires 20-month 0% APR installment agreement & qualifying credit. Wireless service req. (voice & data for smartphones/data for tablets). If you cancel wireless service, remaining balance on device becomes due. Sales tax due at sale. Qualifying devices only. Upgrade after 1 yr.: Req. min. 12 installment payments, acct. in good standing, plus trade-in of current device in good & functional condition & purchase of new device/wireless agreement & service plan. After upgrade remaining unbilled installment payments are waived. AT&T Next available only at AT&T owned retail stores & att.com. If device is returned, restocking fee up to $35 for smartphones or 10% of tablet sales price may apply. Terms subject to change. no! t-mobile is great news.upgrade 2x in one yr. new phones releases every yr.
T-Mobile is starting a new trend and look at other top carriers starting to follow them lol. Love my Magneta network. Great news. But I'm wondering if you could arrange the payments so that you can finish paying the phone in less than 20 months. I might be wrong but I thought we had contracts and all these other charges in order to pay of our phones subsidized prices. So if I'm paying extra every month in order to upgrade sooner, why is there no lowered rate plans or lower internet plans be offered with NEXT or any of these other early upgrade plans? This might make more sense for things like tablets because they have relatively low carrier subsidies. Factor in your credit card interest rate and waived activation/upgrade fee compared to fronting all of the money. It works out similar but it's spread out. I don't think it's that great for regular phones with bigger chip ins. If you're doing it for a phone, then you're the same type that will lease a car. And that's basically what this is. A leasing program. It'd be nice if this worked with their prepaid options. iPhone 5, $236 regular upgrade, $486 early upgrade. Next : $0 upfront, $32.50/month, $390 after 12 months, $585 after 18 months. So, in theory, a new $200 iPhone every year will run cheaper for "must have" types if they can do the trade in. 3 years of keeping up with new idevices would be $1,208 ($236+$486+486) vs $780 ($390+390). Letting the tail end run normally would be what makes it an unattractive option, so folks would be more inclined to just get a new phone anyhow. This discounts the value of a trading in the old iphone or selling it on a regular contract, though. It's late... I'm thinking of things slowly >.> I really wished they were announcing LTE where I live. What about early termination fees? Does AT&T still require you to hang around for 2 years? Yes, they let you get a new phone early ... but say you pay the phone off early ... do they let you jump ship if you want? Also, once paid off, do they let you unlock the phone, or again, do you have to wait the 2 years? One question, after 12 months when I "trade in" the phone, do I get any money back, like selling an used car to a car dealer? If not, then this is not a "trade in", rather an exchange for another phone.